In 1804, present-day Transylvania County was involved in a minor border skirmish between North Carolina and Georgia. A map of North Carolina today would reveal that Transylvania does not border Georgia but instead sets against South Carolina. Yet, in 1803 the Georgia legislature petitioned the U.S. Congress to allow Georgia a twelve-mile tract of land in North Carolina. The small tract, or the “orphan strip” as described by some historians, was originally inhabited by the Cherokee. The region was nicknamed the orphan strip because settlers had generally avoided the area after the American Independence. Rather than farmers and their families, rebellious Cherokee, outlaws, and fugitives inhabited the area. The area remained isolated and the surrounding states of North Carolina, South Carolina, and George were hesitant to govern the reckless area. Originally a populated Cherokee area, the first state to claim the orphan strip was South Carolina. Yet, in 1787, South Carolina ceded the land to the United States government, and the federal government subsequently passed the region back to the Cherokee. In 1798, the Cherokee transferred the land to the United States federal government once again, and the plot of land became open to public domain, meaning the territory was under no sovereign state authority. Yet, in 1800 a group of settlers commissioned Congress so that South Carolina might accept the small territory. The disorder and unruliness of the region dissuaded South Carolina, and the state refused to accept the settlers’ offer. With the territory in limbo, Congress dismissed the matter, and North Carolina readily included the orphan strip as part of the state. Georgia, however, later insisted that the land was endowed to them. During the late 1700s and early 1800s, the Yazoo Land Scandal had prompted federal government intervention. The scandal, which involved Georgia governors and legislators, was a fraud scheme that allowed political allies and friends a chance to purchase property in Georgia at an unfair, low price. The problem was finally dissolved when the U.S. Congress passed the Act of Cession in 1802. Under the new law, Georgia retained authority over several tracts of land including the orphan strip. Yet, the vagueness of the law did not indicate if North Carolina or Georgia was allowed to govern the region. In 1803, spurred by inter-state rivalry and state expansion, Georgia took charge and established Walton County out of the orphan strip. Georgia named the county in honor of George Walton, a U.S. Senator from Georgia who signed the Declaration of Independence. North Carolina did not object to Georgia’s move, but settlers refused to acquiesce to the Georgia government. This led to the beginning of the short-lived Walton War. The situation climaxed in December 1804 after residents refused to pay taxes to Walton County officials. Acting on behalf of the Georgia government, the officers pressured citizens to pay taxes to Georgia, eventually sparking a series of confrontations. One of the battles led to the death of a North Carolina citizen. John Hafner, a North Carolina constable, was struck and killed by Samuel McAdams, a Georgia official. Shortly after the incident, Governor James Turner commissioned the North Carolina militia to pursue the Walton officials and arrest them for the death of Hafner. The Georgia officials escaped, and the Georgia government soon understood that their efforts were in vain due to the isolation of Walton County from the rest of the state. In 1807, a joint commission between Georgia and North Carolina legislatures was called to finally settle the boundary dispute. The commission analyzed several surveys of the area and concluded that the entire tract of land did in fact rest in North Carolina. However, Georgia refused to follow the commission’s report, and the state continued to govern Walton County until 1811. Andrew Ellicott, a famous surveyor, was hired by Georgia with the intention to resolve the boundary conflict in Georgia’s favor. Despite Georgia’s motives, Ellicott determined that the orphan strip was within North Carolina, eighteen miles away from Georgia’s original claim. In hearing Ellicott’s report, the Georgia governor exclaimed “it appears that no part of the territory heretofore claimed by this state remains in Georgia.” Therefore, in 1811 North Carolina accepted full governorship of the orphan strip. Several years after the conflict, the small tract of land was set inside Henderson County in 1838, annexed to Jackson in 1851, and finally sanctioned as part of Transylvania County in 1861. Yet, in 1971 Georgia came close to dispute the border boundaries again. A Georgia legislative commission reported that the state did have a claim in the orphan strip. In light of Georgia’s report, the North Carolina General Assembly permitted the governor to mobilize the North Carolina militia in order to “protect, defend, and hold inviolate the territorial border of North Carolina against the spurious claims by the State of Georgia.” Even though the situation seemed volatile, both states turned away from the dispute before the proposals were adopted by the state legislative committees. “Walton War.” North Carolina Highway Historical Marker Program website. A Division of the North Carolina Department of Cultural Resources. http://www.ncmarkers.com/Results.aspx?k=Search&ct=btn, (accessed on October 4, 2011). “The Walton War.” Carol Greenberger. Chattooga Conservancy, Inc. website. http://www.chattoogariver.org/index.php?req=walton&quart=W2005, (accessed on October 4, 2011). “Walton War.” William S. Powell, ed. Encyclopedia of North Carolina (University of North Carolina Press: Chapel Hill, NC 2006). "Walton War Map Image." 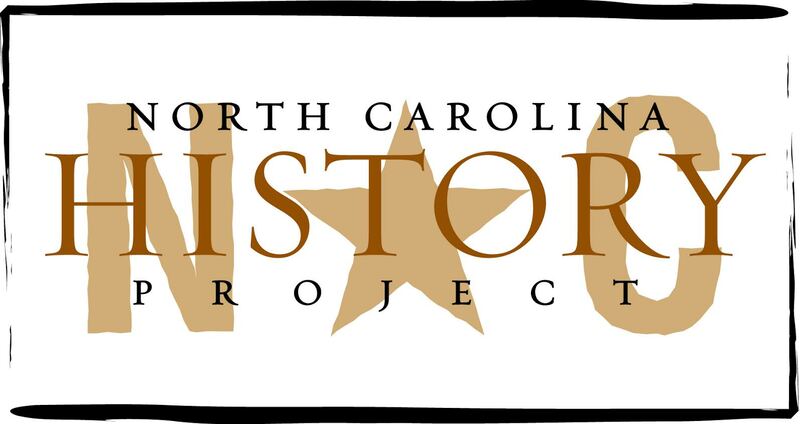 http://www.lib.unc.edu/ncc/ref/nchistory/dec2006/index.html.